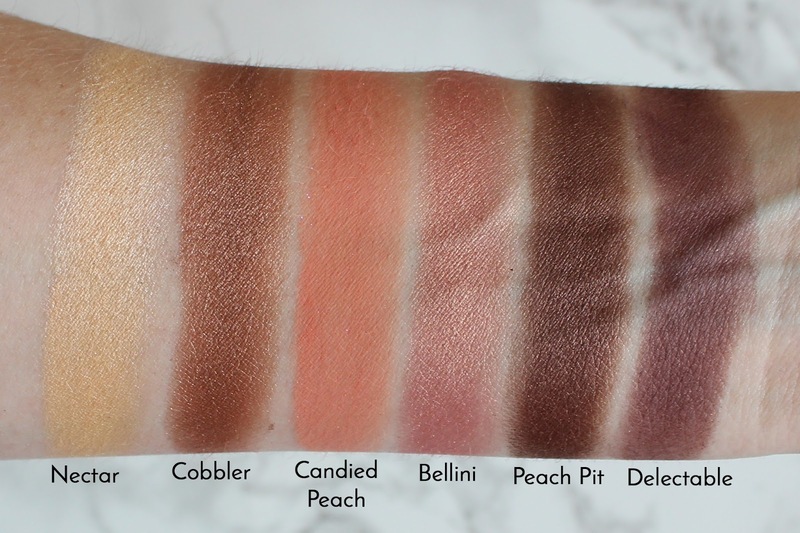 Let's start with my favourite product from the entire line; the original Sweet Peach eyeshadow palette. Initially it was a limited-edition, one-off palette, but its popularity soon meant it became permanent. The palette is perfect for all seasons with its array of 18 ultra-flattering, wearable everyday shades. And the palette allows for a range of looks from natural to dramatic and includes a mix of pearlescent shimmers and mattes. The shade White Peach looks fab popped into the inner corners of my eyes, brightening things up when I'm lacking shut eye and Puree (similar to Makeup Geek Latte) is the perfect matte hue to swipe all over your lid. 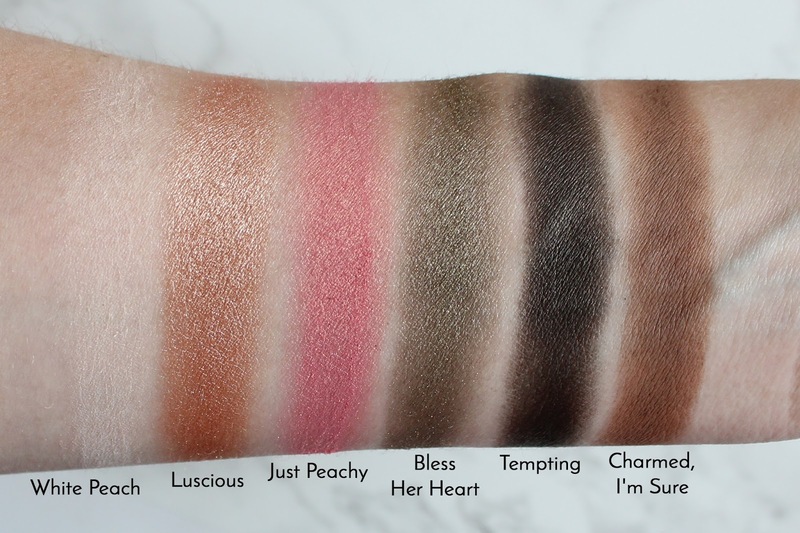 The rest of the shades in the palette compliment the colours perfectly, but the darker shades are a little gritty and tend to have a lot of fallout. So apply with a careful hand and a stiff eyeshaodw brush. In terms of wear, I recommend wearing a primer for pigmentation, blendability, and longevity as without, I find the shades tend to fade. Let's just say they're not quite on par with the likes of Anastasia Beverly Hills and Makeup Geek. But this doesn't deter me from dipping into the warm, gorgeous shades. 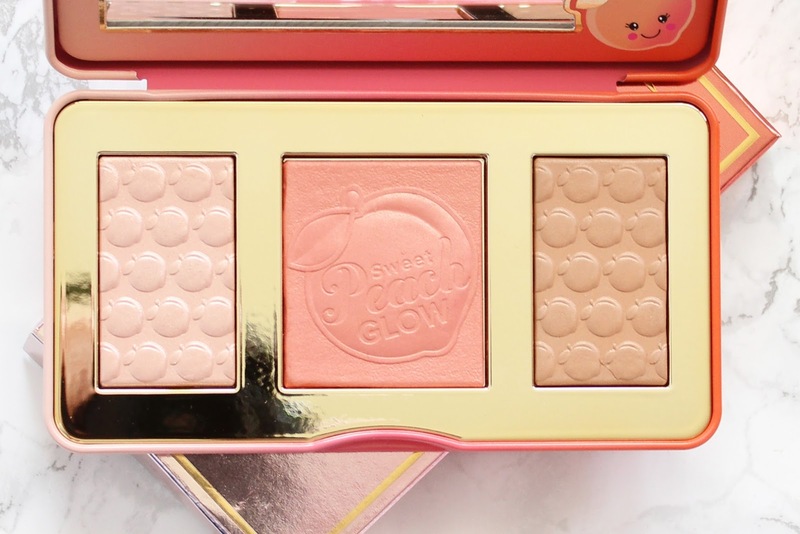 Aptly named Sweet Peach Glow, this palette includes an illuminating highlighter, bronzer and blush. 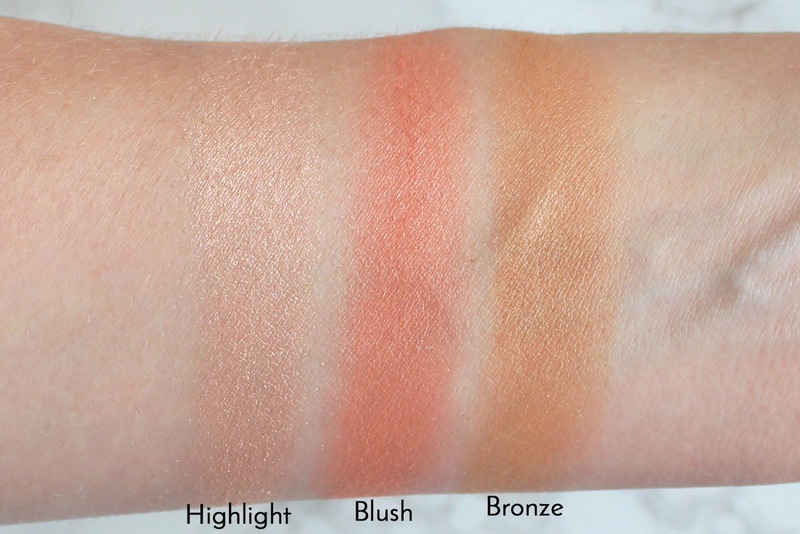 The peach-infused highlighting palette, gives a great glow and a naturally sculpted look. My favourite of the three powders has to be the golden peach highlighter, that actually looks a little icy when worn on the tops of my cheekbones and has a lovely metallic sheen. And the Sweat Peach Bronzer isn't too dissimilar to Charlotte Tilbury Filmstar Bronze. The powders are subtle, but can be built up for more intensity. And like the Sweet Peach Palette, the powders are housed in a pink-to-orange gradient, metal tin and there is no denying how pretty it is. The downside? 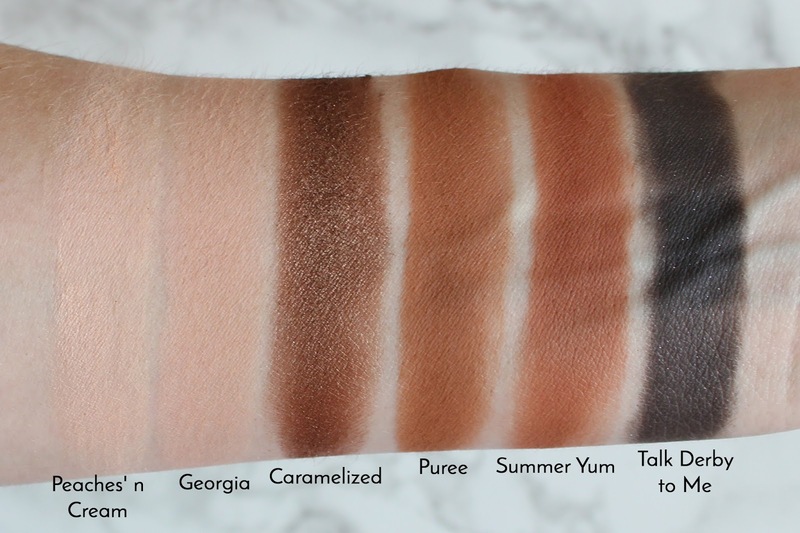 The palette only comes in one shade. So is this collection worth the hype? Overall both palettes are good. Duds aside, the Sweat Peach eyeshadow palette makes a nice addition if you don't already own similar shades in your stash and Sweet Peach Glow has a decent formulation and is perfect for a quick flush on the cheeks and a shimmering highlight on the go. Beauty brands such as Makeup Revolution have attempted to replicate the Insta worthy makeup line, but I can confirm whilst they give it a good go, it just doesn't quite match up to the real deal. All things considered, the collection is worth the hype having started what I'd call the peach revolution, but with brands such as ABH releasing warm peachy palettes, there is now a little more competition. And just when I thought Too Faced had moved on from all things peachy, they've announced they're set to release their Peaches & Cream collection at the end of this month and I don't know about you, but from the teasers I've seen on Jarrod Blandio's Insta, I'm seriously diggin' it. 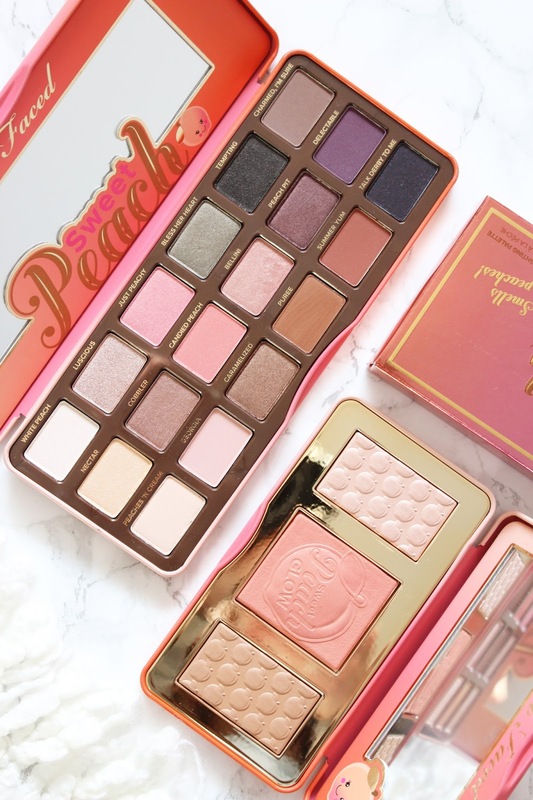 What's your thoughts on the Too Faced Sweet Peach collection?